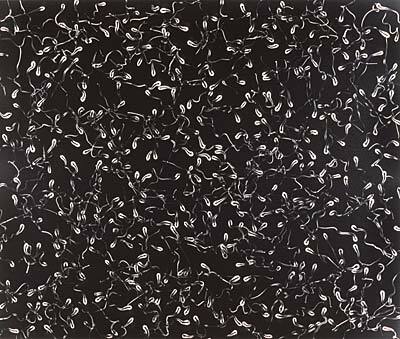 Sadie's Gathering: Let's Talk About Sperm, Baby! Let's Talk About Sperm, Baby! I confess; I did not know what to entitle this post; what picture to use; or even how I wanted to start it. Last month, due to moving, school starting and such, I did not do much on Sadie's, so I have been working on several posts, recipes, and updating a few things in order to do more in the upcoming months. Yesterday, while I was looking around visiting different sites, I visited PIWTPITT, and read her post, Sorta Racist Lesbian Couple Sues Sperm Bank. I went on to comment that I did not know much about sperm banks, and thought that perhaps the moms just wanted to ensure that this sort of thing did not happen again. I found other references to the story online. I followed the links included in the posts; then I followed those link's links. I googled the case. Then the mom. After it all, I wondered, why is everyone focusing on the mom, and not the sperm bank? Seemed to me to be another example of the plaintiff made out to be the defendant. Now, I am not going to say that there's not a racist aspect to it all; there may be, but to me it's not so obvious as the mom. I simply don't know. Let's talk about the sperm bank. Now I don't know anything about visiting a sperm bank. So naturally, I googled them. I believe I even found the clinic that is the actual defendant in the case. I won't name them, cause heaven knows I don't want a libel suit, but it's not hard to figure out if you click on the links. On the clinic's home page, among other benefits, they claim "Photo Assisted Selection" where if a photo is provided of the mother, father, or any other person desired; the staff will rate potential donors according to how closely they resemble the photo. Why offer that option if you cannot stand by it? Seems to me most potential parents would prefer to have kids that look like them. If the plaintiff is racist, as much as I would like to believe otherwise, it would not be the first or only racist couple that ever wanted to have a child. Furthermore if you equate being a racist with being a bad parent; there's a long line. A bad parent, with a messed up kid? Let me count the ways. Don't believe me? Just pick the right time and ask your kid. Even though sperm banks claim to screen their donors incredibly carefully, so that only 5% are accepted; since it is a business, there is no way possible to be that picky when it comes to the customers. So, someone misread the donor number. I'm mad as hell, if I get home, go over a receipt only to find that the cashier entered something wrong, and I ended up paying however much more. It's the principle that someone does not care and is not doing their job, or is doing it half assed. How often does this happen? If this is an isolated event, seems to me the clinic would want to do everything in their power to make things right for their clients; current as well as future clients. If the clinic does not honor one promise, who's to say what else may be misread on other aspects? Take care of it now, before it turns into something beyond their control. That's how you ensure business for tomorrow. Point is, THE SPERM BANK IS THE DEFENDANT. For the future of all sperm banks, they need to be held accountable. Frankly, if I was in the market right now for a sperm bank, even after just seeing the preview for Delivery Man, and then hearing about this case; I'd be wary. If there is such a thing as an altruistic sperm bank out there and this news came out; I would think they'd be a little disgusted as well. Consider if it was a same race heterosexual couple. They become pregnant the good old fashioned way. Low and behold, the baby is born and it's not the same race as Dad. Think he'd be miffed? There would be at the very least, some explaining to do. Of course if the baby was the same race as Dad, could be he'd never be the wiser. Shouldn't he just be happy he has a healthy child? Well, yes; but still you would understand his surprise, to put it mildly. You would probably cut him some slack if he didn't handle everything with perfect grace as well. Perhaps, the moms here deserve the same consideration. Parenthood is not easy. You get lots that you don't plan on. I have often said, kids are a wonderful reminder of how little we have control over anything. Better have a sense of humor, and if you don't, better get one fast. Even so. I grew up on the WV/OH border, about 2 hours from Uniontown and Akron. Beautiful country. Rural. Diverse by any definition, it is not. That's not a judgment call, just an observation. I just would like to pose the thought: that unless you were born in that area of the country, or grew up there, all the while being homosexual, you may want to hold off judgement for a bit. Let's say you were. Then you have the gull to go to NYC to marry the one you love. Most likely because it's not legal for the two of you to marry in your home state. How would you feel if your marriage was not recognized where you spend the 24/7 of your life? Still, you decided to stay close to your family, even if maybe they have not fully embraced your "lifestyle". If there's one thing that is universally the same about absolutely every family everywhere, it is this: it's complicated. Then because of whatever, you want to be a mom. Your spouse wants that as well, and you want your child to look like you- which the sperm bank says they can do. Wanting a child that looks like you and your spouse, is not unreasonable. Then uh-oh, it is. I've never been to Uniontown; but I have been to towns where it's evident that two white lesbians and a black baby would be less than welcome. Seriously, unless you possess all the history of the plaintiff, don't make her the defendant. I wish we all were raised and lived in an all loving, live and let live country that didn't know the meaning of racism or sexism. As much as I wish for that to be true, and try to do all I can to ensure that for my daughters some day it is; most of us still have to account for the real world that we live in. We make decisions on what we do and where we go to keep ourselves safe. I still am careful where I walk at night, in some areas, even in the day. When I walk down a street I look at people to see if I can detect the look. The look of not caring, or that they've lost hope. To see if that thread, that holds it all together -has ripped. If we could detect it; would we get the hell out of there? As much as that seems smart, it's probably the time we should let that person know they're not alone, and to hold on. It's not uncommon for couples to return or go to where their extended family is, after they have kids. Many couples, and even adult singles, return to their less than idyllic hometowns. In today's economy having Grandma or another relative right around the corner to help watch the kids when the parents work, is sometimes the only plausible economical daycare solution. Also, as everyone gets older, sometimes the only ones to care for aging relatives are relatives that may or may not have always seen everything the same way. That's life. So, while we're in it, let's try to take it easy on each other. It won't be long before we ask the same of others.